Share the excitement of spending time in Hawaii with Hawaii postcards. Hawaii is a world-class vacation destination full of natural wonders, scenic vistas, and pristine beaches. These and other great attractions are captured on postcards that can be found just about anywhere you go on the islands. With such a wealth of Hawaii postcards to choose from, which should you look for? Each island has many natural wonders, historical landmarks, sites of cultural interest, and other sites to write home about. Selecting postcards that capture the spirit of each location you visit is a great way of sharing the excitement with people who have not yet experienced Hawaii’s beauty for themselves. If you are lucky enough to receive Hawaii postcards from a friend or loved one, you can add these to a scrapbook or even your own travel journal. These make great mementos to remember people by; perhaps you will be inspired to reciprocate with a postcard from your own home town. Postcards are a great way to keep in touch with people. Send a thoughtful note to the folks back home once you disembark from the plane in Honolulu or pen your greetings from a beachfront café on Maui. Take the coastal highway and see world-class vistas stretched out before you, then record your adventures on a postcard sent back home. Hawaii postcards are sure to be treasured by all who receive them. Treat yourself or a loved one to a postcard today. 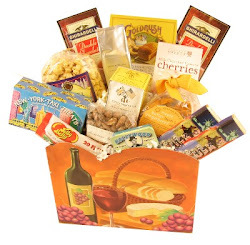 My Favorite City gift baskets feature Gourmet Food, Travel Guides, & Fun Souvenirs tailored to your favorite destinations. Whether you want to "Welcome Out Of Town Guests", or "Send a Taste", visit our store to find the right gifts for you! Read our blog for fun facts about your favorite cities.